well maintained and properly functioning control valves have a direct effect on coolant quality, an important factor in product quality. 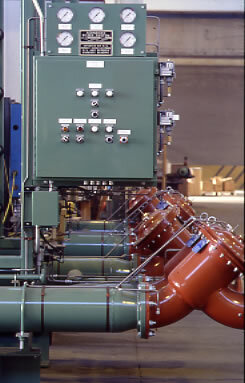 To keep your filtration systems running at peak efficiency, we carry a full range of hydraulic and pneumatic control valves plus replacement and repair parts for these valves. We also carry a line of hard to find replacement parts for various, discontinued C.M. Bailey valves. If you have questions regarding replacement parts or complete valve replacement, please contact a sales engineer to assist you.